We feel extremely fortunate to have Jay Emery of Dingley Dell in our corner, the authority on pizza ovens, all round wonderful guy and affectionately known as our secret weapon! Thank you for your interest in my commercial wood-fired ovens. I’ve been making these since 1999 and I’ve supplied hundreds of business owners in that time including Michelin starred chefs, award winning pizza chains and mobile caterers who get to cook hundreds of pizzas a day. Before we get into oven choices, there are a number of things that you should know. The first is compliance with regulations. Gone are the days when a commercial business could just put in an oven or just build an oven in the kitchen and start cooking pizza. And it’s been ten years or more since a business could just build any brick oven into a garden and get away with it. The regulations are getting stricter and stricter and you now stand a good chance of being closed down as quickly as you opened. If your business is located in a registered smoke control area then that means that you can only install a smoke exempt appliance. As well as attracting steep fines in the UK, it’s actually a criminal offence to install a non-exempt appliance since the exemption process is an Act of Parliament. Fortunately, all our ovens are on the DEFRA exempt appliance list and are suited for installation in smoke control areas. I was the first wood-fired oven maker to get my ovens certified and there is no one that understands these regulations better than me. Choose a non-exempt oven at your peril! This is just one of the many points that most oven sellers know nothing about or in fact choose to ignore as they know that they are selling products that are not fit for purpose. And just because it’s an Italian oven maker does not mean that you can legally use it in the UK even if they say they have built ovens and can give you a list of happy customers. If it’s not on the DEFRA exempt list, at some point some law enforcement officer is going to catch up with you. 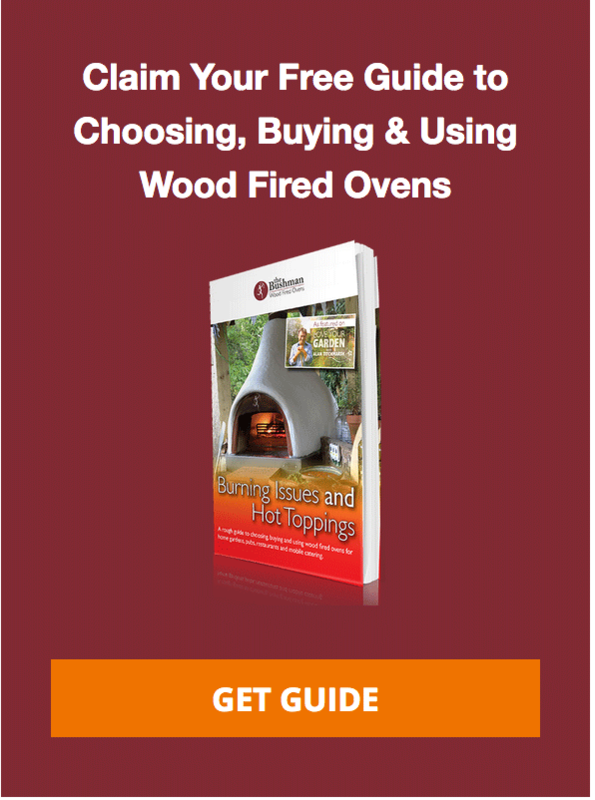 Now if you have been cooking pizza for a number of years already or have an existing pizza business and are looking to install a wood fired oven then you probably know what oven size and style you are looking for and you will find the details you need here. You are very welcome to read the following short introduction to pizza ovens but it is really designed for the newcomer. What size oven do I need? One of the most common questions I get asked is “I need an oven that takes 6 to 8 or 10 to 12 pizzas at a time”. Now don’t take this the wrong way but that’s not the question to ask and I’ll tell you why. For one thing there are very few pizzerias that actually run this number through an oven at any one time. What you actually need to know is what kind of pizza you want to make, the temperature that you want to run the oven at and then the maximum number of pizzas that you want to cook per hour. So you certainly wouldn’t need an (expensive) oven that took 10 to 12 pizzas! The cook time of a pizza is determined by the thickness of the base and the amount of topping you put onto it. To cook a thick pizza perfectly you will also need to reduce the oven temperature which is why it would take three minutes to cook. With the style of pizza that I teach, my cook time is anything from 45 seconds to 90 seconds because the base is thin (and delicious). What that means is that if you can cook a pizza in 45 seconds and you only need to make 60 pizzas an hour then an oven that can cook two at a time is twice as big as you need! Just remember the critical numbers are the maximum number of pizzas you need to put through an oven in an hour and the cooking time of the pizza you want to cook. If you don’t know these answers then I can help you find them out. 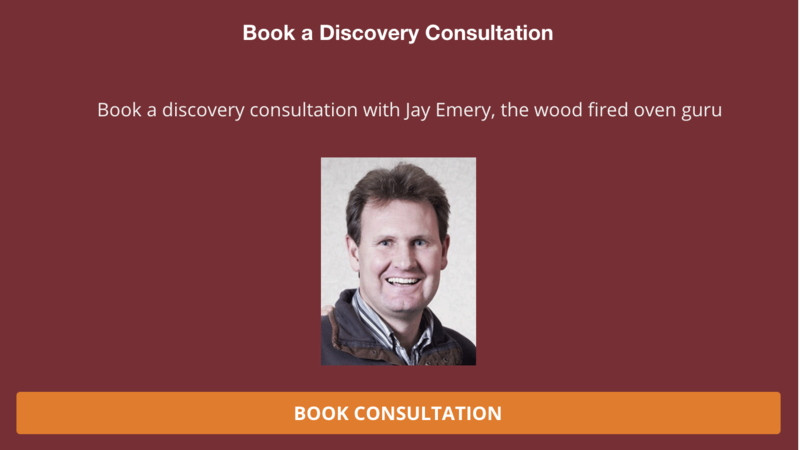 Book onto one of my free discovery seminars and we can work this through with you. How are you going to get rid of the smoke? The next thing we need to sort out before you can even contemplate buying a wood fired oven is the flue pipe and chimney. Regardless of whether you are in a smoke control area or not, there are some very important rules that can’t be broken and yet more than 50% of the people that come to see me don’t even know them or have been badly advised. In order to install a wood fired oven you need either a brick chimney or you need a class 1 twin wall flue pipe. And if you have a chimney then you may still need a flue liner down it. If you need a twin wall class 1 flue pipe then you may need planning permission. If the chimney is going to vent below the roof line it needs to be at least 25 m away from any domestic windows. If you’ve done your homework, taken a look at the different types of ovens we make and know your options then let’s set up an appointment for you to come and visit us and see our ovens in person. Why should you come to me? Well, I know that I can be of more help to you in my show room demonstrating the ovens we make and finding exactly the right solution for you. I would love to visit every single person that inquired about a wood fired oven but it would waste a lot of my time and then I wouldn’t be able to make ovens. I don’t even know if you like the ovens I make. I don’t know yet if you can install an oven in your premises. And most people can’t afford one of my ovens and/or don’t like what I’m telling them about the regulations. Often when customers first set out to buy a wood-fired oven for their restaurant they think they should be able to buy an off-the-shelf oven and as a result I can just give them a price. But as most of my customers now know there is so much more to it than that. Beyond the style of oven, the approach to insulation, the size and the type of mounting and stand, there are also the tool kits, the thermometer options, the gas combi options and the water scrubbers to consider. There are so many variables and after all if it’s a pizzeria that you are opening then surely the most important piece of equipment is without a doubt the oven. If you’d like my help choosing the right oven for you, come and visit us and get all the help you need. Just fill in your details and we’ll contact you to arrange an appointment. What an amazingly informative seminar we attended with Jay about his Bushmen wood fired pizza ovens. 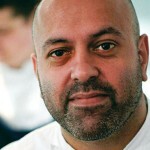 Any question we had he answered with an open and honest view..
To win two Michelin stars you can't compromise on anything. That's why I chose to work with Bushman Wood Fired Ovens.. I am a very demanding person. You have to be if you want to create really exceptional food. A state of the art commercial kitchen is a must.